If you’ve been to Washington, D.C. this year to see the cherry blossoms, you might have noticed something new: more pets! 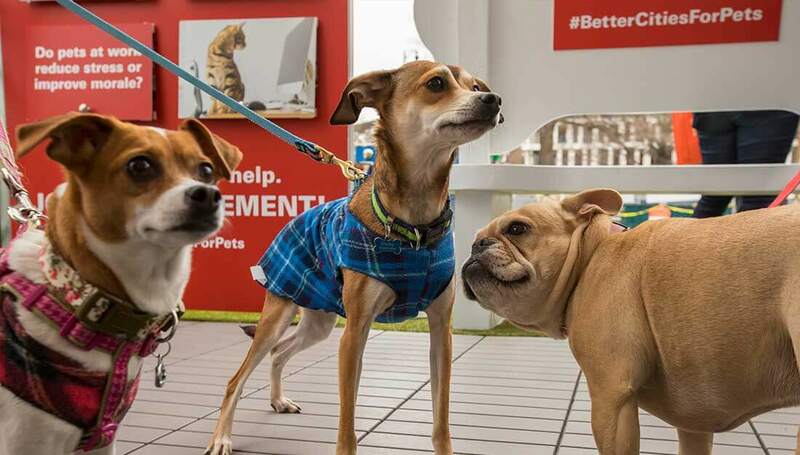 That’s because the National Cherry Blossom Festival teamed up with Mars Petcare to become more pet friendly. With pets now part of 84 million U.S. families, 2018 was the perfect year to bring an added focus on pets to the popular festival and its events. This year, pet owners have had the chance to visit comfort stations with pet waste bag distribution, treats, shade and water for pets. Plus, visitors have received educational resources about responsible pet ownership and tasty treat samples for their furry friends. 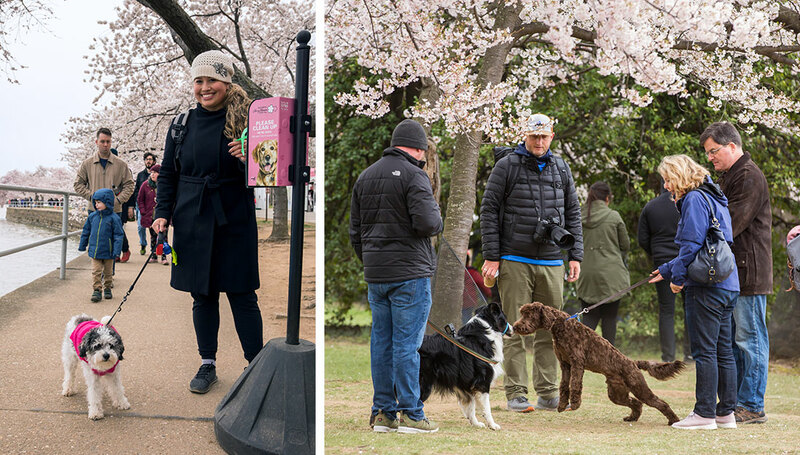 Key pet-friendly festival moments have included the Blossom Kite Festival, Petalpalooza and visits to the Tidal Basin Welcome Area. On Saturday, April 7, things really went to the dogs. At Petalpalooza, one of the festival’s signature events, the Pet-Friendly City of the Future installation debuted for the event’s thousands of visitors. 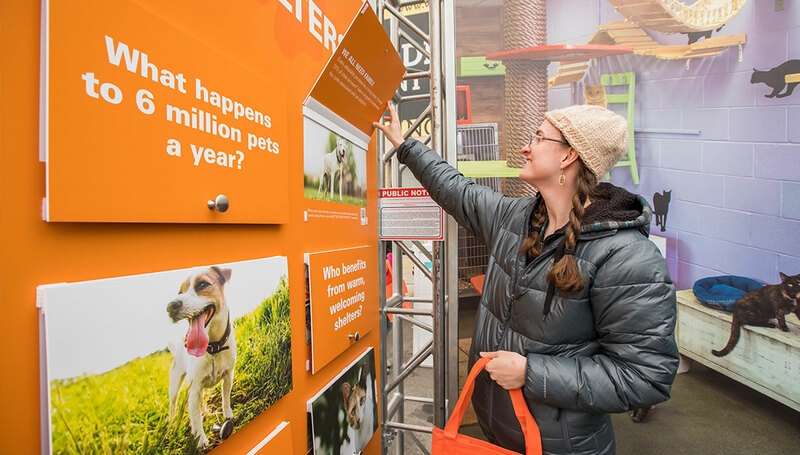 This interactive pop-up exhibit offers a chance to explore how communities can better help people and pets enjoy life together. 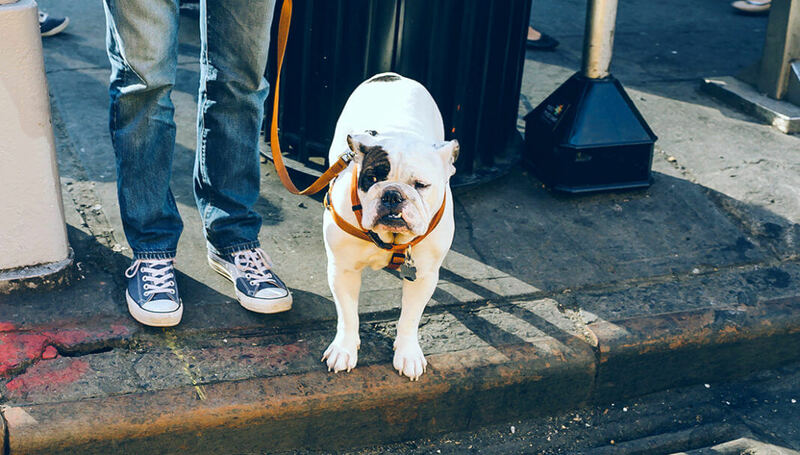 What did 30% of U.S. mayors say their city needs to help pets? How can we get pets to behave in public? 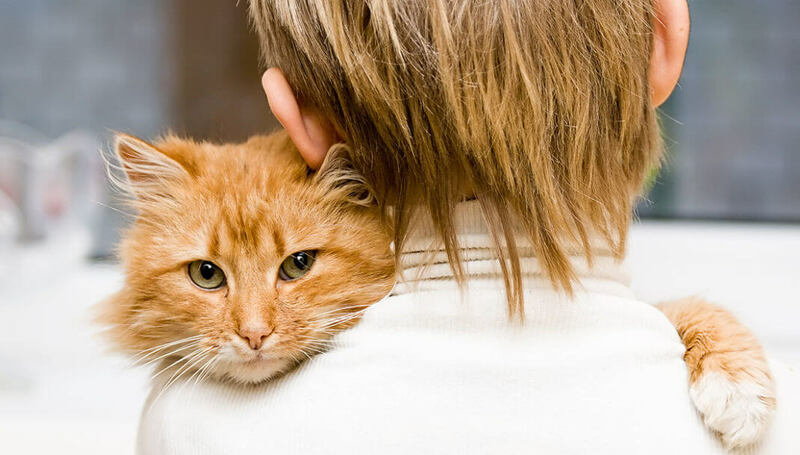 Do pets at work reduce stress or improve morale? These and other questions are answered within the Pet-Friendly City of the Future’s interactive displays. Plus, QR codes give visitors instant access to downloadable resources. The materials are part of the Playbook for Pet-Friendly Cities, a detailed guide to the 12 traits of pet-friendly cities model and how to bring it to life. At the exhibit, hosts also encourage visitors to give input on what would make their community more pet-friendly. 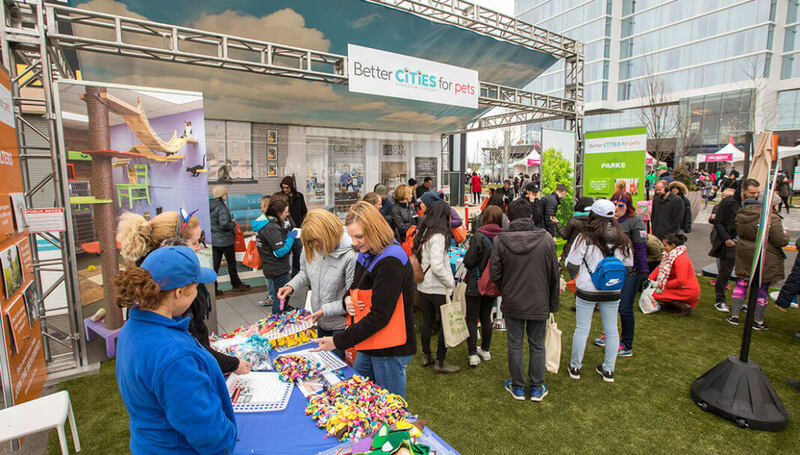 The BETTER CITIES FOR PETS™ program is a continually evolving effort, working to incorporate the latest input, thought leadership and best practices for pet-friendly communities around the country. During the afternoon of Petalpalooza, Humane Rescue Alliance was on hand with adorable, adoptable pups. 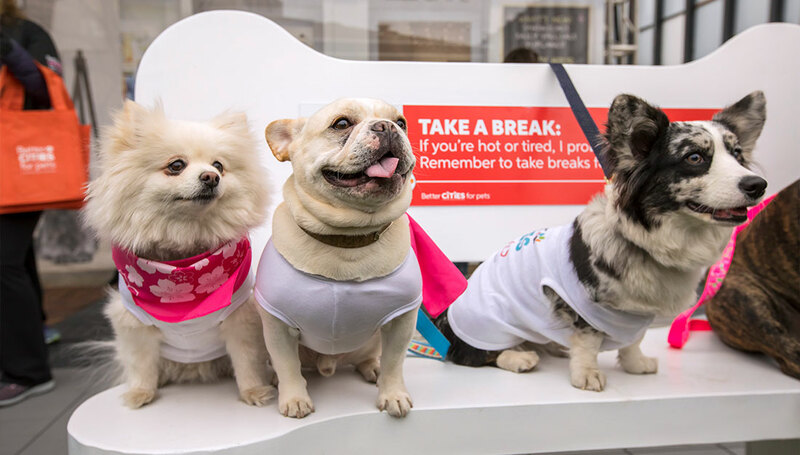 And, more than 200 dogs stopped by to visit the popup with their people – including some pet celebs. Left to right: Luna and Sebastian (@SebastianLovesLuna) and Navy (@NavyCorgi). 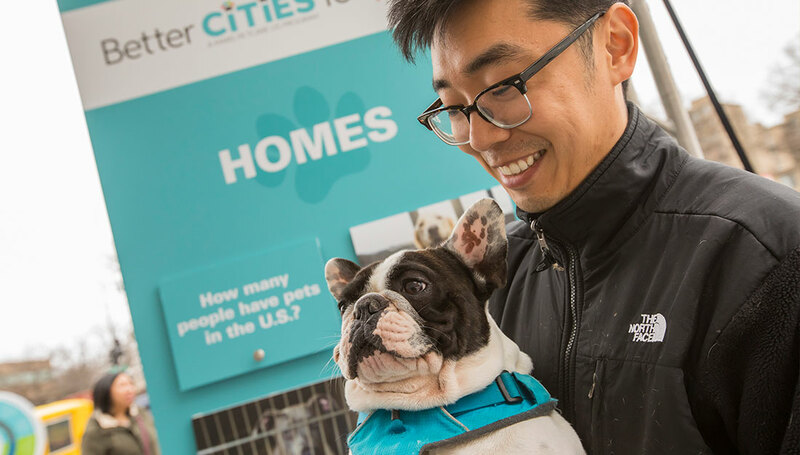 Even if you missed seeing the Pet-Friendly City of the Future in Washington DC this month, there are plenty of ways to join the movement and make your community more pet friendly. Read the Playbook for Pet-Friendly Cities (PDF) to see examples of best practices and advice on getting started. 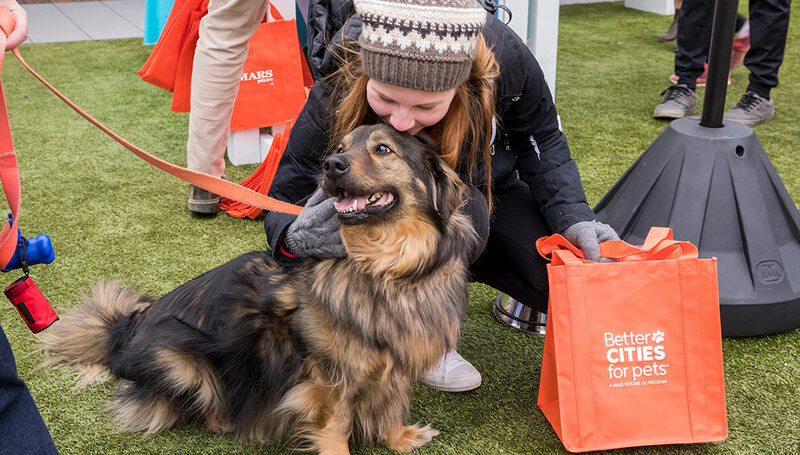 Ask your mayor to apply for a BETTER CITIES FOR PETS™ grant to promote, support or expand its pet-friendly programs and policies. 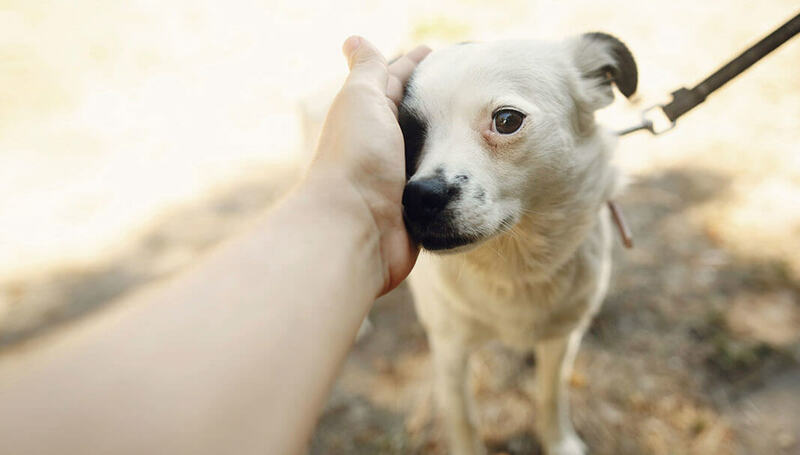 More people than ever think of pets as family. Yet there are still barriers to many communities that make it hard for people and pets to enjoy life together. Together, we can help make life better for pets, so everybody benefits.